Multinational engineering firm Mott MacDonald is designing the $756 million tunnel and has partnered with builders Dragados USA and Schiavone Construction Company. It’s a complex design-build project: Challenges include setting up a construction process that minimizes disruption in an area dense in critical military infrastructure and providing visualization of the tunnel’s evolution for the integrated design-build team and community stakeholders. Though it is not the simplest solution, using a tunnel-boring construction method will help mitigate disruption. Tunneling underground limits exposure to bad weather and the elements and requires less intrusive infrastructure that could otherwise clog maritime shipping lanes. But, “Going underground is significantly more complicated, versus a submerged tube tunnel where you’re basically just sinking a tube into the water itself,” says Jon Servedio, a senior specialist with Mott MacDonald who is serving as the project technology manager. 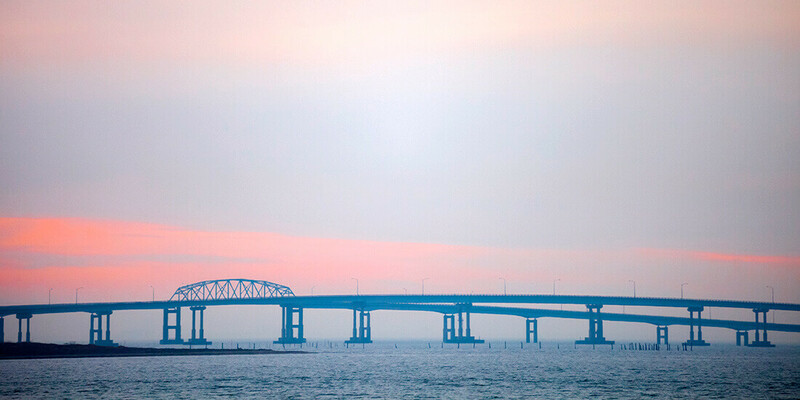 Minimizing disruptions means, in part, allowing traffic to flow as freely as possible across the 20-mile-long bridge and existing tunnel during construction. As such, Mott MacDonald is planning to limit highway shutdowns to one lane on the bridge and tunnel, and the construction team will work late at night whenever possible. The engineering team is currently running traffic-impact simulations and working iteratively through Navisworks to determine how it can evolve the plan to yield the least interruptions. After the team develops a traffic-management plan, it will use 3ds Max to render simulations. 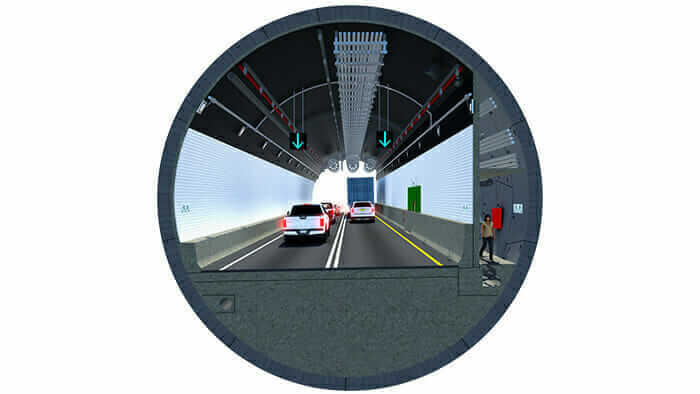 With this new tunnel’s completion, the goal isn’t so much traffic relief but safety redundancies in case a major traffic accident or disaster blocks a single tunnel, according to the Virginian-Pilot. But even so, Mott MacDonald’s engineers “work with the future in mind,” says Servedio, so new tunnels and increased traffic capacity can be added as needed. 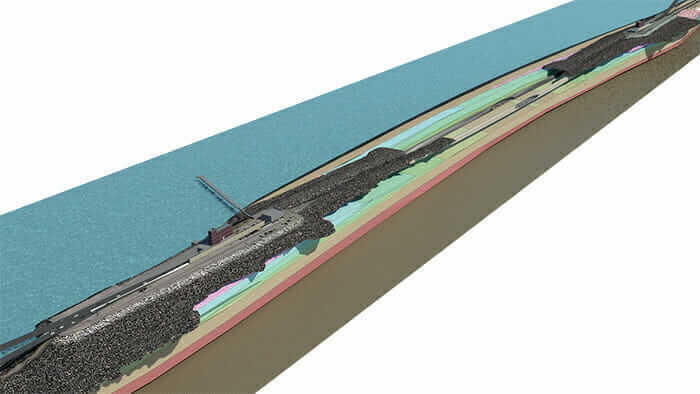 Mott MacDonald also considered the impact construction could have on local ecology and produced an environmental report modeling the effects of the new tunnel and the expanded highway on marine life and terrestrial flora and fauna. 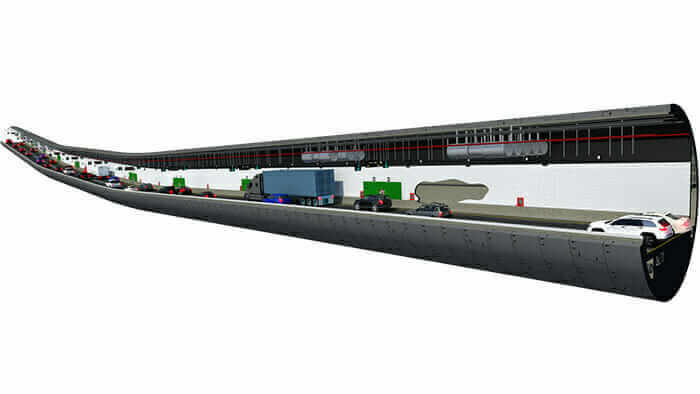 A lengthwise-view rendering of the new Thimble Shoal tunnel. Courtesy Mott MacDonald. A bird’s-eye rendering of the entire project, with the new tunnel on the left and the existing tunnel on the right. Courtesy Mott MacDonald. A cross-section rendering of the new tunnel. Courtesy Mott MacDonald. 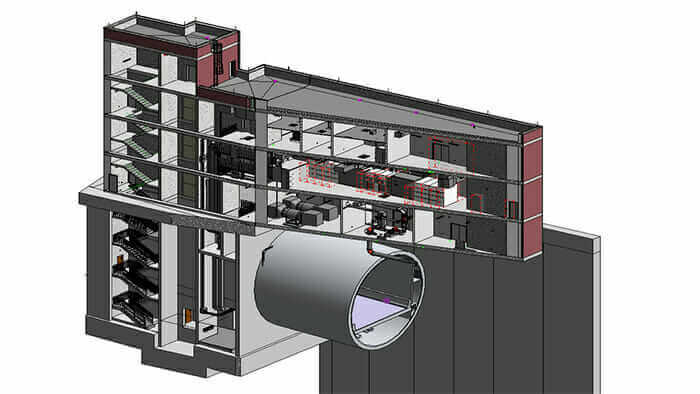 A rendering of a ventilation building, as it sits on the approach structure. Courtesy Mott MacDonald. The team used 3ds Max “to explain to the contractor and the proper authorities what the construction sequencing may look like and give them a better idea of what the ventilation buildings would look like when they’re eventually built,” Servedio says. “This software lets us create an animation so the contractor, as well as our team, can get a better idea of how things will be put together and staged—from when you’re running a tunnel-boring machine through the ground to the point where they start building up the infrastructure for the support structure.” The animation was especially useful for mollifying neighbors’ concerns about how construction might affect their ocean-side views. And working in a design-build partnership makes it much easier to get timely and accurate feedback from contractors. “The overall design benefits a great deal from the fact that we can find out, from a logistics standpoint, whether what we’re trying to do design-wise will actually work,” he says. Learn how Mott MacDonald and team put this BIM infrastructure project together. Using Civil 3D and Revit, the team built an interface diagram to clarify the various parts of the project that team members were responsible for. Servedio says the team often got questions such as, “‘Hey, I’m doing plumbing, does that mean plumbing for the tunnel? Does that mean plumbing for the approach structure? Plumbing for the ventilation building?’ That helped guide the collaboration among staff members because they could see who they needed to talk to when it came to a particular portion of the project and the system involved in that portion of the project.